There may come a time that will need to block someone on Facebook. 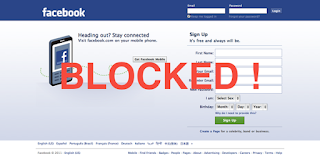 Blocking is seen as the ultimate thing you can do to un-associate yourself with a particular person on Facebook, and is much more than simply unfriending them. It is sometimes needed in extreme circumstances, such as in cases of stalking or harassment, or if there is someone you really don’t want to see on Facebook, such as an ex-spouse. Firstly, it is important to realise that the person you blocked isn’t notified. They don’t get told you blocked them, the same as if you unfriended them. There are no notifications. However, if the person did a little digging, they could find out that you blocked them. So, for example, if they were expecting to be blocked, it wouldn’t be too hard to confirm that it happened. This would indicate to the user that they have been blocked by you. So can a person on Facebook that I have blocked still see me? Additionally they cannot see comments you make on a page or profile, send you messages, tag you, send you a friend request, or see if you’re a follower of a page. However you are not completely invisible to a person you block. There are situations where they can see your activity, and you can see theirs. For example if you comment on a page that the blocked person is an admin of, they can still see it, though your name will be blacked out and unclickable. If you have mutual friends with the blocked person, then your name may still be seen by them on content posted onto Facebook by mutual friends where you and other mutual friends have been tagged, such as a photo. Again though, your named will be blacked out and unclickable. Previous messages sent between you and the blocked person are still visible, but you cannot send new messages. Also Facebook apps are developed by outside developers, so blocks will not apply there. You may still see a blocked persons activity (and they can see yours) on social apps and games. And of course, blocking someone on Facebook has no effect on your visibility outside of Facebook. Remember that all of this is mutual. What you can and cannot see is the same both ways. Is there any way the person I blocked can reverse the block? No. Only the person who initiated the block can reverse it. 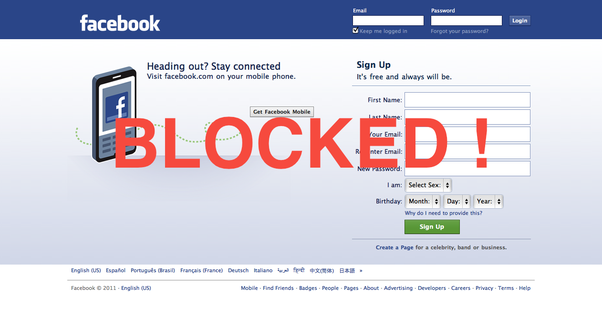 If you initiated the block, then you can go to your Facebook settings and click Blocking. From there you can see a list of all people you chosen to block and you can unblock any particular person. Will the person I block get into trouble with Facebook? No. Facebook acknowledges that there may be legitimate reasons to block someone on Facebook that doesn’t necessarily imply any wrong-doing on any persons behalf.